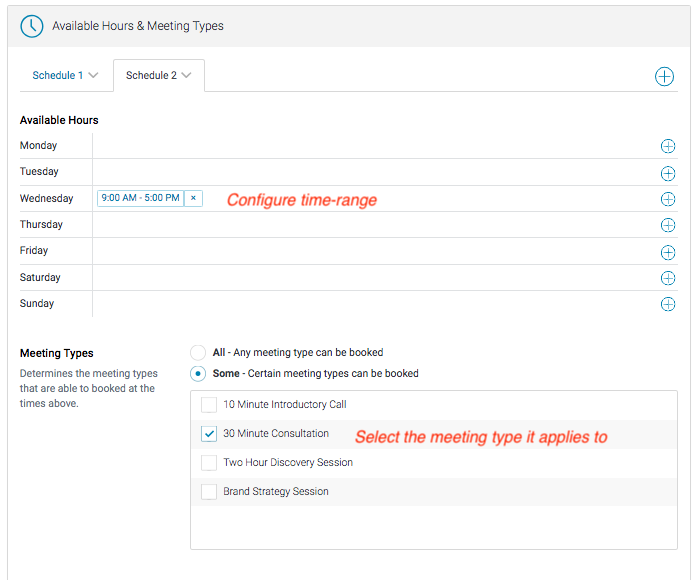 Let's say that you want to configure a Meeting Type's availability to be different from your other Meeting Types. This article will show you how to use multiple schedules to accomplish this. 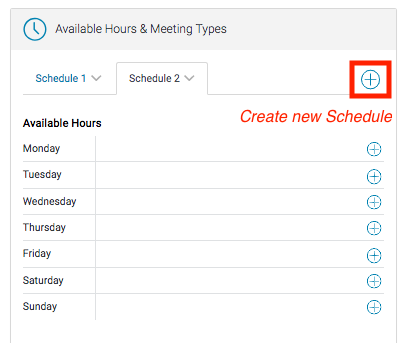 The first thing you'll want to do is bring up the Available Hours editor on your Member. If you don't know where that is, please consult this guide. For this guide I have created two Meeting Types: "Consulting Call" and "In-Person Meeting". 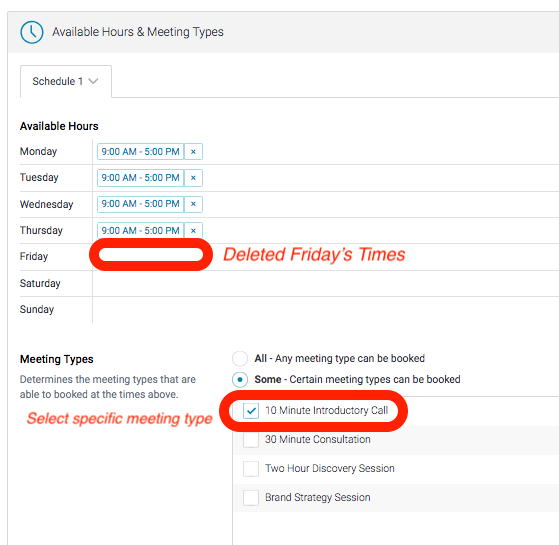 By default, both of these Meeting Types will be offered for all available start times. We're going to set our schedule up in a way that the "Consulting Call" will be available Monday - Thursday, and the "In-Person Meeting" will only be available on Friday. Great, now "Consulting Call" will only be available Monday - Thursday. 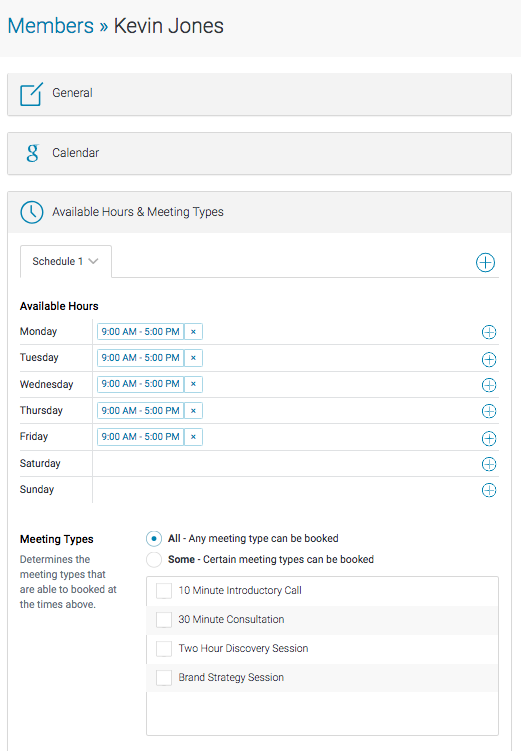 However, if you were to save your changes now and test your booking page, you'd see that the "In-Person Meeting" would not longer show up. This is because it is no longer being performed by your staff member at all. And that should do it! Remember to click "Save Changes" at the bottom of the page and you're good to go.